A tree lined dirt road extends from the camera into the background. A two-story house behind a wooden fence can be seen on the right with other farm buildings in the middleground on the right. 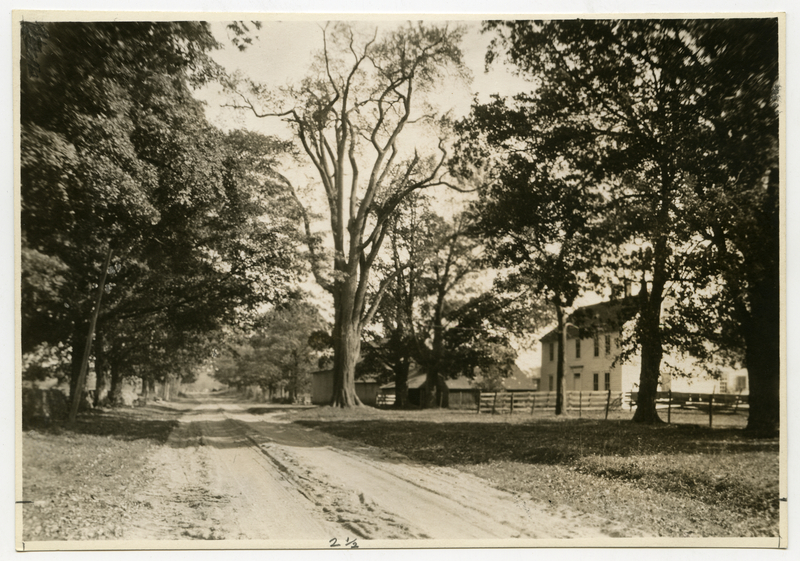 Johnson, Clifton, 1865-1940, “A road in the morthern part of the town,” Digital Amherst, accessed April 23, 2019, http://www.digitalamherst.org/items/show/2679.